Free Shipping on all of our photo paper prints! 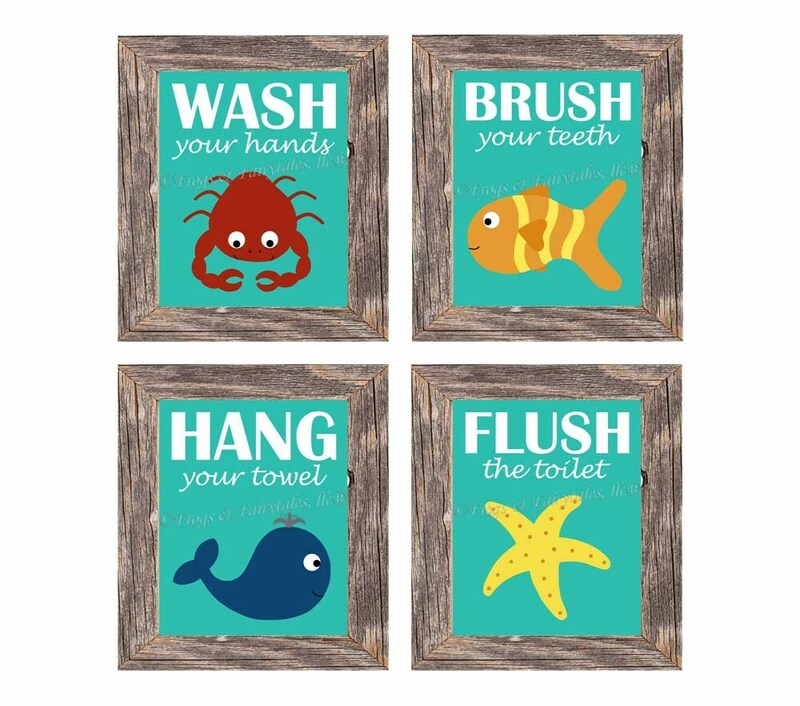 These ocean themed bathroom wall art paper print set is the perfect addition to your child's bathroom! 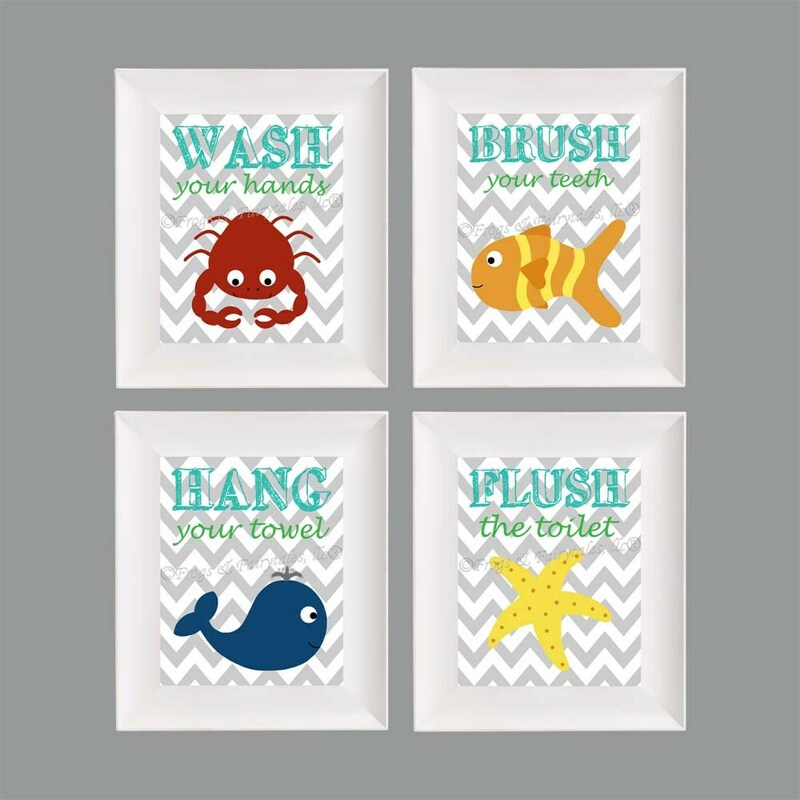 The first picture shows this set in a white and gray chevron background, and picture 2 shows this set in an aqua background. Choose your size and color choice from the drop down menu. You can also choose custom colors to have the background color and wording color changed to something other than what is pictured. If you choose custom colors, please leave your requests in the note to seller section. I will message you with proofs to approve before printing your custom order. These prints are printed on thick, archival, Epson Premium Luster Photo Paper with fade resistant inks. They are packaged in clear cellophane resealable bags with a piece of cardboard to keep them from bending. Frames are not included.